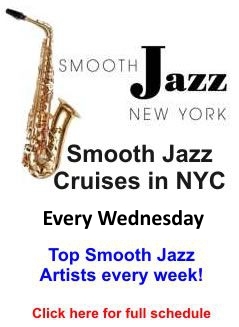 Prepare NYC, smooth jazz sax-man Gerald Albright is coming to town July 20th with Peter White and Rick Braun, who I will write about in upcoming posts. Albright’s contemporary and straight-ahead collections have established the Los Angeles-based musician as one of the most prominent artists. 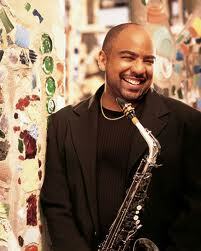 Indeed, Albright was one of the ten featured saxophonists who performed at President Clinton’s inauguration. He was also featured at the Presidential Summit, as well as several private functions for the President. In addition to numerous appearances at clubs and jazz festivals, Albright had also been a part of the popular Jazz Explosion tours, which saw him teaming up with contemporary jazz stars like Will Downing, Jonathan Butler, Hugh Masekela, Chaka Khan, and Rachelle Ferrell, to name a few. Albright played on albums by a wide variety of artists — including Anita Baker, Ray Parker, Lola Folana, Atlantic Starr, Olivia Newton-John, the Temptations and Maurice White. He also toured extensively with Les McCann, Rodney Franklin, Jeff Lorber, Teena Marie, the Winans, Marlena Shaw, Debra and Eloise Laws, Quincy Jones, Whitney Houston, Phil Collins, and many others. With 9 CDs under his belt and one collaboration CD, Albright has definitely gained his place in the music world as a player, songwriter and producer. 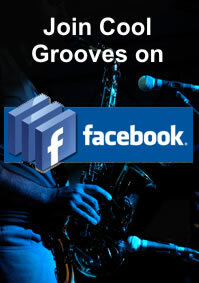 This entry was posted in Artists and tagged contemporary jazz, smooth jazz. Bookmark the permalink.